Rage against the machines… by building your own machine! This is intended to be an introduction to the world of robotic Forex trading. By the end of this you should be able to construct a working automated Forex trading robot. These automated trading bots are called Expert Advisors, EA’s for short. I am going to assume that you don’t have much FX trading experience and walk you through the whole process of setting up your first EA. Step 1. Download and install MetaTrader4. This is the platform our EA’s will run in. Once MT4 is dowloaded go ahead and start it up. Just click cancel on any dialogs that show up. We are not going to hook it up to an account yet, we are just going to set it up so that you can play around and backtest your EA’s. 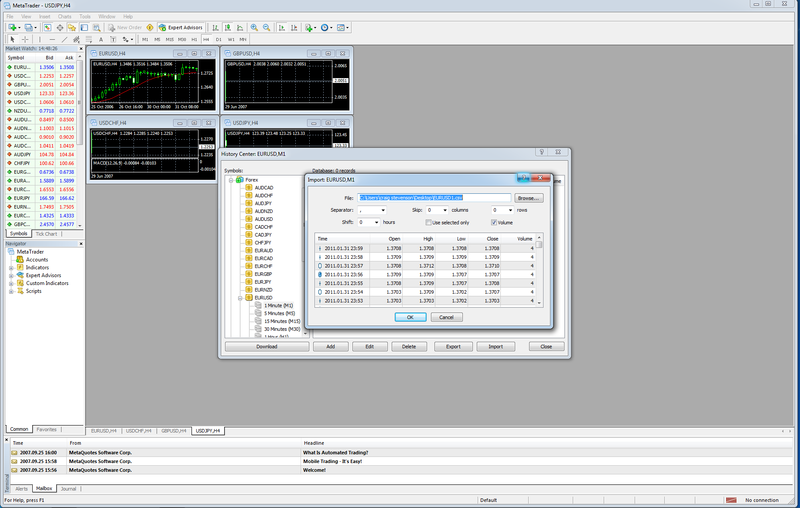 Once MT4 is up and running you should see something like the following screen. Click Tools then History center (or hit F2). Now we should be looking at this. Expand Forex then EURUSD then click on M1 (the one minute candles). Hit download. This will download some of the historical data. At this stage we need to download some additional data which will fill in the holes. 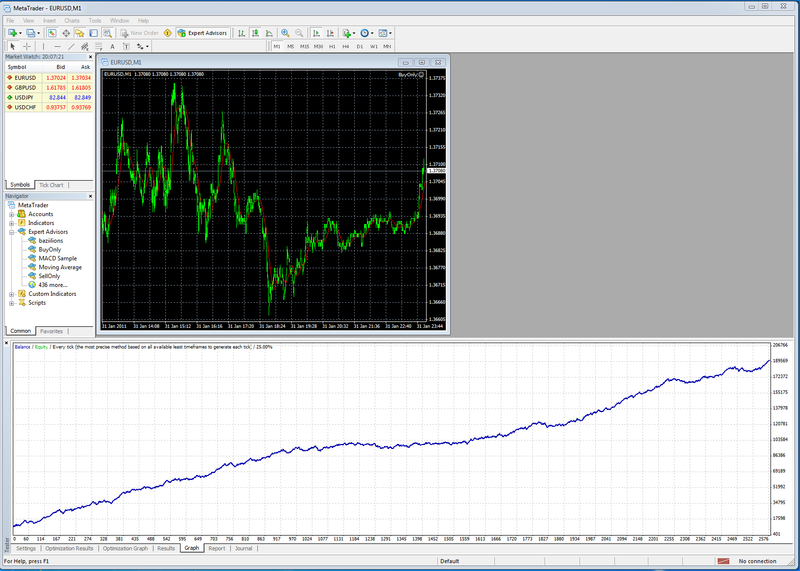 Here is a file which contains data for all of 2010, EURUSD1. Now we need to import this data into our program. To import this data click on the M1 data for the EURUSD just like in the previous step. Hit import. You should see the following screen. If you dont see the candles in the import box then just close the history center and open it again. At this point we are ready to build and backtest our first EA.